Would you like to know how Iceland was formed? Did you ever want to see and understand the influence of the ice age glaciers on the landscape? 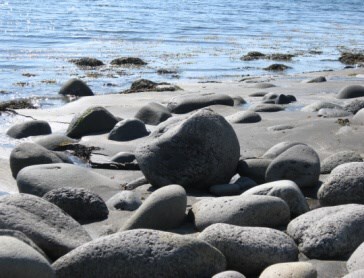 Are you fascinated by stones? Are you interested in volcanic activity? 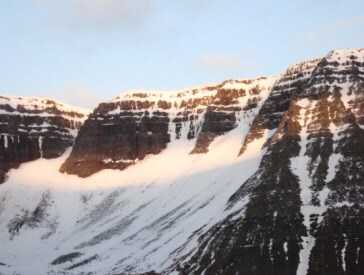 Your tour starts from Westtours office/Tourist Information Center in Ísafjörður and passing through the small village of 2600 inhabitants, and up to the mountain slopes. On the way through town you will see houses from the heyday of Ísafjörður and hear interesting things about the place, its history and culture. By the slopes, surrounded by nature, you get an insight into the Icelandic vegetation. You will also learn in an easy way about the formation of the Westfjords. While you will experience the wonderful view of the fjord and surrounding valleys, you see and hear interesting things about the former volcanic activity and how the glacial period shaped the landscape. Our guide will explain everything with examples. 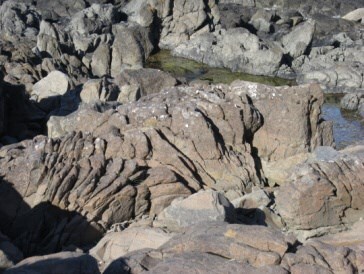 You will also be shown the different types of rock layers, stones and more. Also you get information about erosion, avalanches and protective measures.